Busy is the new stupid – an expression coined by US Human Resources strategist and consultant Ed Baldwin that’s caught on because it’s catchy, it’s partly true, and it speaks to something many working professionals are experiencing: a feeling of being stuck in a cycle of busyness and stress that is seemingly inescapable. Being busy doesn’t make you stupid, however. You could be busy solving quantum physics equations or composing a sonata, for example. Rather, it’s being chronically stressed that makes you ‘stupid’: we’re more likely to take reckless risks, our ability to make decisions is impaired, as is our ability to work collaboratively, and our equilibrium (and our ability to plan) goes out the window. When we’re stressed, we’re in ‘survival’ mode, which means all bets are off in terms of rational, reasoned, productivity-supporting business as usual. Unfortunately, stress has become business as usual. Profmed’s 2017 Stress Index, which surveyed 3 000 SA graduate professionals across a range of industries, found that work was the leading source of stress – more than half of the respondents claimed that stress had an emotional and physical impact on them, and 29.15% felt they were not managing their stress. But you don’t need research to tell you that. We’re all familiar with the ‘busyness’ phenomenon, the constantly overloaded schedules, and the ‘I don’t have time’ refrains that are such a part of our daily lexicon that we barely think to stop and question them. We may even get a boost of worthiness, self-importance and status gratification from having a packed diary, and letting others know about it. Until, of course, something goes wrong. The busyness begins to spread its tentacles into every aspect of our lives, and pretty soon we find we’re tired, demotivated, feeling trapped and unable to find time for the things that really bring us joy, and our relationships and/or our health suffer the consequences. Hopefully, this is when the search for that elusive work-life balance begins, because it’s relatively easy to correct when the symptoms are mild. On the extreme end is full-scale burnout: depression, anger, a sense of worthlessness, feeling isolated, mistrustful, panic attacks, an inability to focus, chronic fatigue, insomnia, chest pains or difficulty breathing. ‘Stage four burnout is a little bit more than another bad day at the office,’ says executive coach and human performance specialist Caroline Ravenall, who suffered from debilitating burnout herself after helping in the launch of Virgin Atlantic airlines in SA more than a decade ago. According to a 2018 study by the South African Depression and Anxiety Group, more than 40% of all work-related illness is the result of work-related stress, major depression, burnout and anxiety disorders. So what’s the solution? Yoga? Meditation? A holiday? Yes – and no. If you’ve been temporarily overloaded at work, then a week on a beach, regular sun salutations, and putting some boundaries in place (such as resisting checking emails at home), will probably do the trick. But if high work-stress levels last longer than six months and are impacting negatively on your health, your ability to function and your relationships, chances are good that the solution goes deeper, because the source of the imbalance is more likely to lie in your psyche than in your situation. ‘Hysterical industriousness’, a phrase conceived by German philosopher Peter Sloterdijk, refers to our tendency ‘to be habituated to a continual fast pace of life, endeavouring to cope with demands and pressures with no time for casual idleness’. 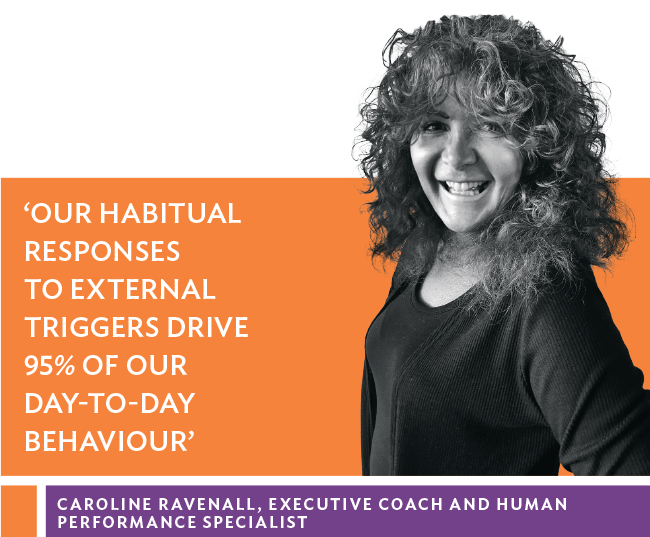 A multifaceted solution is called for, one that addresses our biology (the habituation – some have called it addiction – of the nervous system to the stress response), our thought processes (which requires self-awareness) and practical prioritisation. Touch therapy (regular massage, for example) or practices such as yoga, t’ai chi and qi gong can all help to encourage the body to move from the sympathetic nervous system (fight, freeze or flight) to the parasympathetic nervous system (relaxation, healing and creativity), and can significantly reduce the effects of stress on your body and help calm the mind. However, if the core imbalance isn’t addressed, this is just damage control. Mindfulness is a key tool to help us become aware of the thought patterns and behaviours that are exacerbating stress – and meditation is the most effective tool to build your mindfulness muscle. 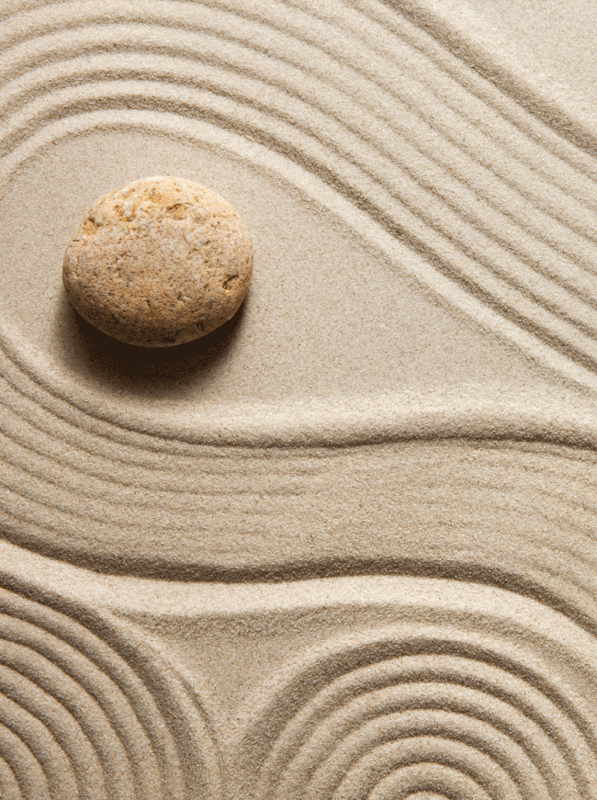 Mindfulness helps you become aware that you are not your thoughts – that you can choose them, instead of identifying with habituated thought patterns. If you have unproductive worries, says assistant professor of psychiatry at Harvard Medical School Elizabeth Hoge, you can train yourself to experience those thoughts differently. ‘You might think “I’m late. I might lose my job if I don’t get there on time, and it will be a disaster!” Mindfulness teaches you to recognise, “Oh, there’s that thought again. I’ve been here before. But it’s just that – a thought, and not a part of my core self”,’ says Hoge. The same applies to the countless assumptions we may make about ‘falling behind’ if we aren’t constantly busy, being negatively compared to others, and attaching value to the mood of busyness. Busyness doesn’t necessarily equal productivity – nor does stress. Yet we conflate busyness and stress with productivity, with value. Stress and busyness without purpose and passion drain our energy and lead to burnout. Instead, we should be looking at what makes us feel truly energised: what are we passionate about; what makes us truly productive?